Sonora ([soˈnoɾa]), officially the Free and Sovereign State of Sonora (Spanish: Estado Libre y Soberano de Sonora), is one of 31 states that, with Mexico City, comprise the 32 federal entities of United Mexican States. It is divided into 72 municipalities; the capital city is Hermosillo. Sonora is bordered by the states of Chihuahua to the east, Baja California to the northwest and Sinaloa to the south. To the north, it shares the U.S.–Mexico border with the states of Arizona and New Mexico, and on the west has a significant share of the coastline of the Gulf of California. Sonora is home to eight indigenous peoples, including the Mayo, the Yaqui, and Seri. It has been economically important for its agriculture, livestock (especially beef), and mining since the colonial period, and for its status as a border state since the Mexican–American War. With the Gadsden Purchase, Sonora lost more than a quarter of its territory. From the 20th century to the present, industry, tourism, and agribusiness have dominated the economy, attracting migration from other parts of Mexico. Three archaeological cultures developed in the low, flat areas of the state near the coast: the Trincheras tradition, the Huatabampo tradition, and the Central Coast tradition. The Trincheras tradition is dated to between 750 and 1450 CE and mostly known from sites in the Altar, Magdalena, and Concepción valleys, but its range extended from the Gulf of California into northern Sonora. The tradition is named after trenches found in a number of sites, the best known of which is the Cerro de Trincheras. The Huatabampo tradition is centered south of the Trincheras along the coast, with sites along extinct lagoons, estuaries, and river valleys. This tradition has a distinctive ceramic complex. Huatabampo culture shows similarities with the Chametla to the south and the Hohokam to the north. This probably ended around 1000 CE. Unlike the other two tradition, the Central Coast remained a hunter-gatherer culture, as the area lacks the resources for agriculture. In 1821, the colonial era in Sonora was ended by the Mexican War of Independence, which started in 1810. However, Sonora was not directly involved in the war, as independence came by way of decree. One positive aspect of independence is that it allowed for economic development. The former province of Sonora, Ostimuri, y Sinaloa was divided in 1823 to form the states of Sonora and Sinaloa, with the Sonoran capital in Ures. However, they were reunited in 1824 and remained so until the 1830s, despite of the fact that Sonora was declared a state by the 1824 Constitution of Mexico. Sonora became separate again in 1831, when it wrote its first state constitution, which put the capital in Hermosillo. In 1832, the capital was moved to Arizpe. The struggles between the Conservatives, who wanted a centralized government, and Liberals, who wanted a federalist system, affected the entire country during the 19th century. In 1835, a centralist government was instituted based on what were called the Bases Constitutionales ("Constitutional Bases"). They were followed by the Siete Leyes Constitutionales ("Seven Constitutional Laws"), which remained in effect until 1837. But in December of the same year, General José de Urrea proclaimed in Arizpe the re-establishment of the Constitution of 1824, initially supported by then Governor Manuel Gándara. However, for the rest of the century, Gándara and succeeding governors would support a centralized government, leading to political instability in the state. In 1838, the capital was moved back to Ures. The Mexican–American War resulted in only one major military confrontation between Mexican and United States forces, but its consequences were severe for the state. In October 1847, the warship USS Cyane laid siege to Guaymas Bay, resulting in United States control of this part of the coast until 1848. When the war ended, Sonora lost 339,370 hectares of its territory to the United States through the Treaty of Guadalupe Hidalgo. Additionally, the war ruined the state's economy. Sonora lost more territory in the 1850s, through the Gadsden Purchase. Before the war, Sonora was the largest entity in Mexico, but as a result of the Gadsden Purchase, the northernmost part of the state became part of the United States. The majority of the area is today's Arizona south of the Gila River and a part of the present-day southwestern New Mexico. The area's political vulnerability immediately after the war made it susceptible to buccaneers such as William Walker, Gaston de Raousset-Boulbon, and Henry Alexander Crabb, who attacked Sonoran ports such as Guaymas and Caborca. However, most attacks were repelled. The economy did not begin to recover from the war until the late 1850s, when Ignacio Pesqueira became governor and attracted foreign investment to the state, especially in the mining sector, as well as worked to create markets abroad for agricultural products. During the French intervention in Mexico, Sonora was invaded by French troops as part of the effort to install Maximilian I as a monarch in Mexico. 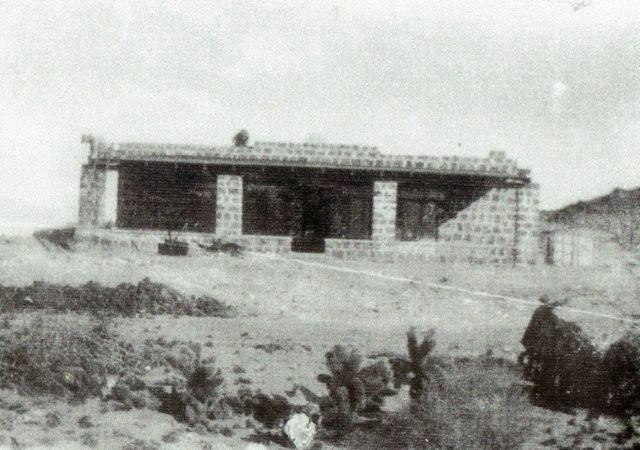 The port of Guaymas was attacked by forces under Armando Castagny, forcing Mexican forces under Pesqueira and General Patoni to retreat north of the city. French troops attacked the Mexicans again at a place called La Pasión, again resulting in defeat for the Mexican resistance. The French were not defeated in the state until the Battle of Llanos de Ures in 1866 by Pesqueria, Jesús García Morales and Ángel Martínez. Shortly after this, the state's current constitution was written in 1871, and its capital was permanently moved to Hermosillo. The appropriation of land for both agriculture and mining placed renewed pressure on the Yaquis and other native peoples of Sonora. Previously, active resistance had given the Yaqui fairly autonomous control of a portion of the state and kept their agricultural system along the Yaqui River. Encroachment on this land led to uprisings and guerilla warfare by the Yaquis after 1887. By 1895, the federal and state governments began to violently repress the Yaquis and forcefully relocate captured Yaquis to the plantations in Mexico’s tropical south, especially the henequen plantations in the Yucatán Peninsula. The Yaqui resistance continued into the 20th century, with the expulsions reaching a peak between 1904 and 1908, by which time about one quarter of this population had been deported. Still more were forced to flee into Arizona. In late 1910, the Mexican Revolution began in earnest, and Díaz was quickly deposed. The governor of Coahuila, Venustiano Carranza, sought refuge in Sonora, and became one of the principal political leaders during the rest of the war, with his main base of operations in Hermosillo. A number of the revolutionary leaders who joined Carranza in Sonora did not come from peasant backgrounds, but rather the lower middle class of hacienda-managers, shopkeepers, mill-workers, or schoolteachers, who opposed large-scale landowners and the Porfirian elite. After Díaz was deposed, Carranza competed for power against Álvaro Obregón and others. The Yaquis joined with Álvaro Obregón’s forces after 1913. Resentment against Chinese success began quickly, and Sinophobia rose sharply during the Mexican Revolution as many Chinese prospered despite the war, and many attacks were targeted against them. The first organized anti-Chinese campaign in Sonora began in 1916 in Magdalena. A more serious campaign began in 1925, calling for their expulsion from the state. Mass expulsions were mostly carried out in Sonora and Sinaloa, partly because of their large populations, but the Chinese, often with their Mexican wives and children, were deported from all over the country. Some were returned to China but many others were forced to enter the United States through the border with Sonora, even though Chinese exclusion laws were still in effect there. Sonoran governor Rodolfo Elias Calles was responsible for the expulsion of most Chinese-Mexican families into United States territory. Despite the diplomatic problems this caused, Elias Calles did not stop the expulsions until he himself was expelled from Sonora. However, by that time almost all of Sonora’s Chinese-Mexicans had disappeared. By the 1940 census, only 92 Chinese were still living in Sonora, with more than two-thirds of these having acquired Mexican citizenship. This had the unintended consequence of nearly collapsing the Sonoran economy. The efforts at modernization and economic development begun in the Díaz period would continue through the Revolution and on through the rest of the 20th century. In the late 19th and early 20th centuries, the process of electrification greatly increased the demand for copper, which led to a boom in mining in Sonora and neighboring Arizona. 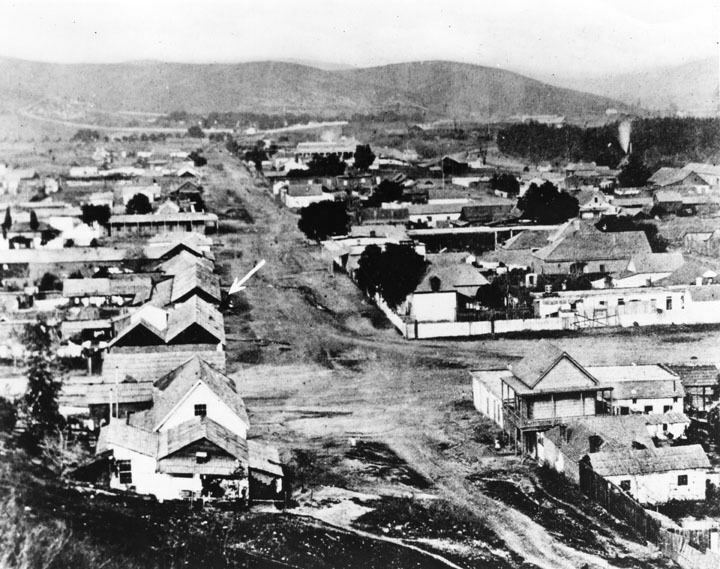 Cananea grew very quickly from a village of 900 to a city of 20,000. It also led to a network of roads, railroads and other connections across the border. However, organized development of the state’s agriculture was put on hold because of the Revolution, the Great Depression and other political upheavals. Bahía Kino is located near San Carlos, with a dock located in the community of Kino Viejo. This bay's beaches have white sand, with warm calm waters off of them. For this reason, Bahía Viejo calls itself la perla del Mar de Cortés ("the pearl of the Gulf of California"). The area is popular for scuba diving and sports fishing as its waters are filled with various species of multicolored fish, small invertebrates, large crustaceans, manta rays, sponges and turtles. On the neighboring islands, sea lions can be seen. Off this coast is the Isla Tiburón, Mexico’s largest island and a nature reserve with wild sheep and deer. There are indigenous communities here, especially at Punta Chueca, which still practice hunting, fishing and collecting natural resources, as well as selling crafts to tourists. Most of northern Mexico suffers from one of the world’s highest rates of desertification due to land degradation in arid and semi arid areas, with the loss of biological and/or economic productivity, but the process is most severe Sonora as neighboring Sinaloa. Land degradation occurs because of clearing land for agriculture, the planting of non-native buffelgrass for grazing, the cutting of forests, overgrazing of natural vegetation and soil salinization from irrigation. A study by Balling in 1998 showed higher soil and air temperatures in areas that have been overgrazed, deforested and otherwised cleared land, likely due to the lack of shading vegetation, which leads to higher soil evaporation and desert conditions. Studies have also indicated that warming trends are higher in Sonora than in neighboring Arizona, into which the Sonora Desert also extends. Precipitation is seasonal and most occurs in the higher elevations. In hot and arid or semi arid lands, evaporation vastly exceeds precipitation. Mexico’s most arid area, the Altar Desert is located in this state. The east of the state is dominated by the Sierra Madre Occidental, which has less extreme temperatures and relatively more rainfall due to altitude. Most moisture comes in from the Pacific Ocean and the tropics, which is pushed against the Sierra Madre. This cools the air masses, leading to rain and occasionally snow in the higher elevations. While most of the rain falls in the mountainous areas, much of this water finds its way back to the western coastal plains in the form of rivers and streams that empty into the Gulf of California and fill underground aquifers. Most of the year’s precipitation falls during the rainy season, which is locally called “las aguas” (the waters). These last from July to mid September, when monsoon winds bring moist air from southerly tropical waters. Most of this is from the Pacific Ocean west of Central America but can also come from Gulf of Mexico as well. This moister flow results in nearly daily afternoon thunderstorms. After the las aguas, there may be additional moisture brought in by hurricanes, which generally move west along the Pacific coast of Mexico and occasionally come inland, especially in southern Sonora. However, these storms tend to drop large quantities of rain in a short time, causing flooding and destruction. The Bahía e islas de San Jorge ("Bay and Islands of San Jorge"), covering 130 square kilometres (50 sq mi), are located on Sonora’s northern coast between Caborca and Puerto Peñasco. The islands were first made a federal reserve in 1978 due to its important to migratory birds. They are especially important to species such as the Sterna antillarum, colonies of Sula leucogaster, Myotis vivesi and Zalophus californianus. The islands are large rocks and are white from guano. The beaches extend for ten km and end at the bay of San Jorge on the south end. The area is home to sea lions and a type of bat that fishes. There are sand dunes with arid zone vegetation as well as a small estuary. The climate is very arid and semi hot with an average temperature of between 18 and 22 °C (64 and 72 °F). The Isla Tiburón is an ecological resereve with about 300 species of plants with desert and marine wildlife. The island was once inhabited by the Seris, and they still consider it their territory. The border has separated the region’s indigenous populations, such as the Tohono O’odham. While members of the Tohono O’odham have special border crossing privileges, these have become endangered as Mexican farmers encroach on tribal lands in Sonora, which are vulnerable to drug smugglers. Yaquis in Arizona travel south to the Yaqui River area for festival, especially Holy Week, and Yaquis travel north to Arizona for cultural reasons as well. When Father Kino arrived in this area, he named much of it the Pimería Alta, as Pima territory extends from the highlands of eastern Sonora up towards Tucson. Economic growth in the state since the Mexican Revolution has led to steady population growth. However, this population growth has been concentrated on the arid coastline due to the dominant agriculture and fishing industries. Eighty five percent of Sonora’s population growth since 1970 has been in this area. Another area where there have been gains are municipalities with industry, such as in Hermosillo and along the United States border. However, those municipalities with none of these economic advantages do not see population growth and some see population decreases. Despite population growth, Sonora is still one of the least densely populated states in the country. About 90% of the state’s population is Catholic, with about 5% belonging to Evangelical or Protestant groups and over 7% professing some other faith. 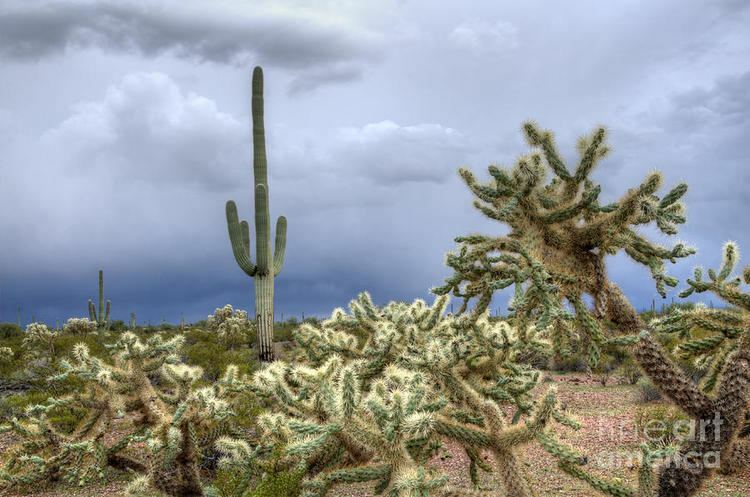 The Tohono O’odham, still referred to as the Pápago by Spanish speakers, have inhabited the most arid areas of the state, and are mostly found in Caborca, Puerto Peñasco, Sáric, Altar and Plutarco Elías Calles in the north of the state. However, most people of this ethnicity now live in neighboring Arizona. The Tohono O’odham have as a principle deity the “Older Brother,” who dominates the forces of nature. Among their most important rituals is one called the Vikita, which occurs in July, with dances and song to encourage rainfall during the area’s short rainy season. In July, during the full moon, a dance called the Cu-cu is performed, which is to ask for favors from Mother Nature so that there will be no drought and the later harvests will be abundant. The dance is performed during a large festival with brings together not only the Tohono O’odham from Sonora, but from Arizona and California as well. The feast day of Francis of Assisi is also important. Many of these people are known as skilled carpenters, making furniture as well as delicate figures of wood. There are also craftspeople who make ceramics and baskets, especially a type of basket called a “corita.”. The Opatas are location in a number of communities in the center and northwest of the state, but have been disappearing as a distinct ethnicity. This group has lost its traditional rituals, and the language died out in the 1950s. The name means “hostile people” and was given to them by the Pimas, as the Opatas were generally in conflict with their neighbors. They were especially hostile to the Tohono O’odham, who they depreciatingly refer to as the Papawi O’otham, or “bean people.” Today’s Opatas have completely adopted the Catholic religion with Isidore the Laboror as the ethnicity’s patron saint. Despite a rough terrain and a harsh climate, Sonora, like the rest of the northern Mexico, is rich in mineral resources. This has led to a history of self-reliance, and many see themselves as the heirs to a pioneering tradition. A large part of this is linked to the vaquero or cowboy tradition, as much of the state’s economy has traditionally been linked to livestock. Sonorans and other norteños (northerners) have a reputation for being hard working and frugal, and being more individualistic and straightforward than other Mexicans. Although most people in the state are employed in industry and tourism, the trappings of the cowboy, jeans, cowboy hats and pickup trucks, are still very popular. In 2000, the gross domestic product (GDP) of the state was 40,457 million pesos, accounting for 2.74% of the country's total. In 2008, Moody’s Investor’s Service gave the state an A1.mx (Mexico) and Ba1 (global) ratings, based mostly on its strong economic base. The state has a highly skilled labor force, and strong ties to the United States economy, mostly due to its shared border with Arizona. This links affects various sectors of the state’s economy. Sonora is one of Mexico’s wealthier states with the GDP per capita about 15% higher than average, and GDP growth generally outpaces the rest of the country, with a growth of 8.4% in 2006 as compared to the national average of 4.8%. The economic success of the state, especially its industrial and agricultural sectors, as well as the border, have attracted large numbers of migrants to the state, from the central and southern parts of Mexico. Agriculture is the most important economic activity in the state, mostly with the production of grains. The major agricultural regions include the Yaqui Valley, the Mayo Valley, the Guaymas Valley, the coast near Hermosillo, the Caborca coast and the San Luis Río Colorado Valley. These areas permit for large scale irrigation to produce large quantities of crops such as wheat, potatoes, watermelons, cotton, corn, melons, sorghum, chickpeas, grapes, alfalfa, oranges and more. In 2002, agricultural production included 1,533,310 tonnes (3.38037×109 lb) of wheat, 172,298 tonnes (379,852,000 lb) of potatoes, 297,345 tonnes (655,534,000 lb) of wine grapes (both red and white), 231,022 tonnes (509,316,000 lb) of alfalfa, 177,430 tonnes (391,170,000 lb) of oranges and 155,192 tonnes (342,140,000 lb) of watermelon. Sonora and Baja California Norte are Mexico's two largest wheat-producing states, with Sonora alone producing 40% of Mexico’s wheat. There is some small scale farming done in the state, especially in the highlands areas, growing corn and other staples mostly for auto consumption, highly dependent on the rainy season in the late summer as there is no irrigation. If these rains fail, the area suffers. However, most of the agriculture continues to shift away from small farms producing for local markets to largescale commercial agro-industry. Many of the country’s largest agribusiness farms are located in Sonora. This agricultural production is concentrated in the lowlands areas, with much of the production exported to the United States. This includes non-traditional crops such as fruits, nuts and winter vegetables such as tomatoes, especially since NAFTA. Irrigation is essential for reliable agriculture on the coastal lowlands of the state, and large scale irrigation infrastruction is needed for large scale production. After the Mexican Revolution, the federal government took control of Sonora’s irrigation infrastructure and after World War II, began extensive dam and reservoir construction. From the 1940s to the 1970s, advanced in agricultural techniques were pioneered by the International Maize and Wheat Improvement Center (CIMMYT) based in Ciudad Obregón. This combined new varieties of wheat, with irrigation, fertilizers and pesticides to greatly increase production. Mexico went from a wheat importer in the 1940s to a wheat exporter in the 1960s. However, such intensive agriculture in such an arid area has had a significant negative impact of water supplies. Eighty-eight percent of all water taken from above and below the surface is used for agriculture. One third of aquifers are overdrafted, especially in Caborca, Guaymas and the coast near Hermosillo. There have been water disputes in the state, notablely between officials from Hermosillo and the relatively water-rich Ciudad Obregón. The overpumping has drastically lowered water tables and has increased soil salinity in many areas. In some areas, the tables have dropped by as much as one or two meters per year, making fresh water increasing unavailable and forcing the abandonment of croplands. For this reason, in the last quarter of the 20th century area under cultivation in Sonora dropped by more than 24%. Sonora is a major producer of seafood in Mexico with a developed fishing infrastructure. The Gulf of California contains a large quantity of fish and shellfish, but major fishing did not begin in Sonora and neighboring Sinaloa until the mid 20th century. Today, some of Mexico’s largest commercial fisheries are in the state. Sonora is one of Mexico’s leading fish producing states, with 70% of Mexico’s total coming from the Pacific coast, including the Gulf of California. Much of the catch is shrimp and sardines, with about three quarters exported to the United States. In 2002, the catch totaled 456,805 tons of seafood with a value of about 2,031 million pesos. In addition to what is caught at sea, there is active fish farming which raises mostly oysters and shrimp. Much of the commercial and sports fishing is essentially unregulated and has had a very pronounced impact on the Gulf of California, with commercially important species such as shrimp, groupers, snappers, corvinas, yellowtail, billfishes have been harvested well above sustainability. Two species which have been particularly hard hit are sharks and manta rays. In addition, shrimp trawling catches a large amount of non target species, which are discarded, and have destroyed large areas of the Gulf’s seafloor. All this has led to rapidly declining harvests. In addition to livestock, mining is another traditional element of Sonora’s economy, beginning with a major find near the city of Álamos. While the silver of that area has mostly been depleted, Sonora still plays a large part in Mexico’s standing as one of the top fifteen producers of minerals in the world, leading in silver, celestite and bismuth. Sonora is the leading producer of gold, copper, graphite, molybdenum, and wollastonite. There are still deposits of silver in the Sierra Madre Occidental. Sonora also has one of the largest coal reserves in the country. The state has the largest mining surface in Mexico, and three of the country’s largest mines: La Caridad, Cananea and Mineria María. It is also home to North America’s oldest copper mine, located in Cananea. Grupo México, with one of its principle mining operations in Cananea, is the world’s third-largest copper producer. In 2002, mines produced 6,634.5 kilograms of gold, 153,834 kilograms of silver, five tons of lead, 267,171 tons of copper, three tons of zinc, 18,961 tons of iron, 7,176 tons barium sulphate. However, annual production is heavily dependent on world market prices. Mexico’s mining industry was mostly dominated by the Spaniards during the colonial period, and then by foreign enterprises after Independence. In the 1960s and 1970s, the government forced out most foreign interests in Mexican mining, beginning with the increasing restriction of ownership in Mexican mining companies. These restrictions were relaxed starting in 1992, with the only restriction that the operating company be Mexican. Within three years of the change, more than seventy foreign companies, mostly United States and Canadian enterprises, opened offices in Hermosillo. Business and leisure visitors to the state primarily come from Mexico (over 60%), with the majority of foreign visitors coming from the United States, especially the states of Arizona, California and New Mexico. The four most important destinations in the state for leisure and business travelers include Nogales, Hermosillo, Guaymas and Puerto Peñasco, with beach destinations preferred by most leisure travelers. One advantage that Sonora has is its proximity to the United States, from which come most of the world’s travelers. In second place are tourists from Canada, many of whom visit as part of cruises. United States tourists mostly visit Puerto Peñasco, San Carlos and Navajoa and prefer areas they consider friendly, with no “anti-U.S.” sentiment. Leisure visitors from the United States tend to be between 40 and 65 years of age, married or in a relationship, educated at the university level or higher, with about thirty days of vacation time, and they and primarily research travel options on the Internet. Most visit to relax and experience another culture. Most domestic visitors also use the Internet, with about half having a university education or higher and about half are married or with a partner. Most domestic visitors are on vacation with their families. The busiest domestic travel times are Holy Week, summer and Christmas, with the overall busiest months being January, April, July, August and December. In 2009, the state received 7,024,039 visitors, which added 20,635 million pesos to the economy. Most visitors are domesticspending an average of 742 pesos. Foreign visitors spend on average of 1,105 pesos. Most stay on average 3.3 nights. Just over half of tourists in the state arrive to their destinations by private automobile, followed by airplane and commercial bus. Hotel occupation went from 45% in 2003 to 57.7% in 2006 but dropped to 36% in 2009. The state’s tourism suffered in 2008 and 2009, mostly due to the economic downturn and the AHN1 influenza crisis, which brought hotel occupancy rates down about 30%. Sonora’s major tourist attraction is its beaches, especially San Carlos, Puerto Peñasco, Bahía Kino and the Gulf of Santa Clara in San Luis Río Colorado. San Carlos has a large variety of sea life off its shores, making it popular for sports fishing and scuba diving. One of its main attractions is the Playa de los Algodones, called such because its sand dunes look like cotton balls. On one of hills behind it, there is a lookout point which allows for views of the area. A number of Yaquis, Seris and Guaimas on and around the Tetakawi Hill, making a living from fishing. Puerto Peñasco has recently experienced large scale development along its 110 kilometres (68 mi) of beaches, which have calm seas. It is located extreme northwest of the state. Some of the available activities include jet skiing, boating, sailing, sports fishing, scuba diving and snorkeling. It is located near El Pinacate biosphere reserve. There is also an aquarium called the Acuario de Cer-Mar, which is a research center open to the public. The aquarium has a number of species such as marine turtles, octopus, seahorses and many varieties of fish. Bahía Kino is named after the Jesuit missionary, who visited the area in the 17th century. In the 1930s, a group of fishermen established a village in what is now known as Kino Viejo. This bay’s beaches have white sand, with warm calm waters off of them. For this reason, Kino Viejo calls itself la perla del Mar de Cortés (the pearl of the Gulf of California). Available activities include horseback riding, scuba diving and sports fishing. The Isla Tiburón is 28 kilometres (17 mi) from Bahia Kino in the Gulf of California. It is the largest island of Mexico, measuring 50 by 20 kilometres (31 by 12 mi). It has been declared an ecological reserve to protect its flora and fauna, such as the wild rams and deer that live here. To enhance tourism in areas away from the primary beaches, the state of Sonora has set up several tourist routes for promotion as well as gained "Pueblo Mágico" status for one of its smaller cities. The Ruta de las Missiones ("Missions Route") covers the principle stops of Jesuit missionary Eusebio Kino, as the worked to establish the many religious institutions which are part of the state’s identity. These include the churches and missions in Caborca, Pitiquito, Oquitoa, Átil, Tubutama, Imuris, Cucurpe and Magdalena. In Magdalena, Father Kino remains are at the Padre Kino mausoleum. The Ruta del Río (River Route) follows a seriers of villages and towns along the Sonora River. The state recommends this route in the fall when the chili pepper and peanut harvest occurs. The route includes the settlements of Ures, Baviácora, Aconchi, San Felipe de Jesús, Huépac, Banámichi, Arizpe, Bacoachi and Cananea. The Ruta de la Sierra Alta ("High Mountain Route") winds its way through the highlands of the Sierra Madre Occidental to see the significant peaks and towns of the area. Destinations include the towns Moctezuma, Villa Hidalgo, Huásabas, Granados, Huachinera, Bavispe, Nácori Chico, Fronteras, Nacozari and Cumpas, which have other attractions such as old haciendas, streams, forests and other forms of nature. Much of the state’s economic activity is related to its border with the United States state of Arizona. People from both countries regularly cross the border to shop. The border crossings are essential to many of the communities that straddle the border, not only in the main crossings in Nogales and Agua Prieta, but also in the smaller ones such as Naco. On each side of the border, there is a fifteen km strip, which is designated as a commercial trade zone, where both Mexicans and United States citizens can enter with limited visa requirements. Many Arizonans travel and cross one of the crossings to eat and shop, mostly to experience something different from doing the same at home. Most spend only the day. The most popular of these border crossings is Nogales, which is just over an hour south from Tucson by highway. The main shopping street in Nogales is Avenida Obregón, which is crowded with pharmacies with lower prices than in the United States, stores selling knock offs of designer names such as Louis Vuitton, Cuban cigars, tequila, cheaper cigarettes and Mexican handcrafts, including some of the best work from artisans from Puebla, Guadalajara, Michoacán and Oaxaca. Although these stores cater mostly to Americans crossing the border, it is still possible to negotiate prices. Many of these communities on the Mexican side also have bars close to the port of entry, taking advantage of Mexico’s lower drinking age of 18. The volume of traffic, along with new security measures which have been put into place since 2001, create traffic jams of trucks and other vehicles, especially during the winter when demand for products grown in Mexico’s warm climates peaks. These jams can result in lines about eight miles long. For trucks moving into Sonora and south, inspection stations at Vícam and near the Sinaloa border also cause delays. Delays in shipping causes more produce to rot before it can get to the consumer. The last reason for the importance of the border is the maquiladora industries, which have made areas such as Nogales grow significantly. Many of Sonora’s incoming migrants from other parts of Mexico come to work at these factories. Leather goods such as belts, shoes, jackets, wallets and more in made in locations such as Nácori Chico, Moctezuma, Pitiquito, Bacoachi, Banámichi, Huásbas, Arivechi and Ures. This craft is a result of the state’s history of cattle ranching. The mining industry gave rise to the working of metals, especially copper in Cananea. Items include pots, pans, plates and decorative items. Álamos is known for items made in brass and wrought iron. Jewelry such as necklaces, bracelets and earrings are often made using materials from the sea such as various types of shells and spines from marine animals. This is a specialty in Puerto Peñasco and of the Seris. The latter also use materials such as the tails of rattlesnakes and animal teeth. Some of the Seris’ best work is located in a museum in Bahia Kino. There is also jewelry, especially necklaces made with various seeds, small twigs and river stones. In Oquitoa, they made ceremonial crowns of glass in various colors. These are most often used to decorate the tombs of loved ones on Day of the Dead. The Yaquis make unique belts using the paws of deer as well as elaborate masks for ceremonies. However, these people generally do not commercialize their wares, with the exception of cloth dolls in local markets. The most prolific art of the state is literature, which includes poetry, novels, plays and essays. To promote the state’s talent, the state government sponsors a number of literary competitions, the most prestigious of which is the Libro de Sonora. It also sponsors scholarships to universities and other institutions. Important contemporary writers from the state include poet and playwright Abrigael Bohórquez, novelist Gerardo Cornejo Murrieta, writer and musician Armando Zamora, writer and literary critic Ignacio Mondaca Romero, narrator César Gándara, essayist and journalist Eve Gil, short story and novel writer Sylvia Aguilar Zéleny and poet and novelist Iván Figueroa. The Orquesta Filharmonica de Sonora (Sonora Philharmonic Orchestra) is a state-sponsored institution which offers concerts in all of the entity’s major cities. Since its creation, it has been accompanied by artists such as Olivia Gorra, Carlos Prieto, Martha Félix, Felipe Chacón and Fernando de la Mora. It has also participated in numerous events such as the 23rd anniversary of Radio Sonora, the Noche de Arte at the ITESM Sonora campus, the Festival Tetabiakte and the Dr. Alfonso Ortiz Festival. There is also an organization for minors called the Orquesta Juvenil de Sonora. The region has been an area of study for archeologists, anthropologists and historians, who have worked on prehispanic ruins and fossilized bones. However, much of the research in this area is still in its initial descriptive stage with many basic questions still unanswered. Sonora is considered a cultural zone separate from Mesoamerica, although there may have been some Mesoamerican influence. The major differences between Sonoran cultures and Mesoamerica include dry climate farming, although the same basics of corn, squash and beans are produced. There is also a heavier reliance on wild resources. More important was the lack of true cities during this area’s prehispanic history, with small settlements clustered around water sources and weak hierarchical systems. The cultures here also share some traits with those of the United States Southwest, but are distinct from these as well. The Cerro de Trincheras ("Trench Hill") is an archeological site, with petroglyphs, plazas and astronomical observatories. The exact purpose of the area has been disputed, but the area reached its height between 1300 and 1450 CE, when it had population of about 1,000, which made its living growing corn, squash, cotton and agave. Its largest structure is called La Cancha ("The Ballcourt"), which is at the base of the north side of the hill. It is a rectangular patio marked by rocks piled on its edges, measuring 51 by 13 metres (167 by 43 ft). Some researchers believe it was some kind of ball court and others believe it was a kind of open air theater. On the hill itself is an observatory, which gives views of the area. Most of the area’s artifacts of stone and shell were found here. The Plaza de Caracol (Snail Plaza) is marked by a meter and a half high stone wall in an open spiral, most likely used for ceremonies. As in other parts of Mexico, Sonoran cuisine is basically a mixture of indigenous and Spanish influences. When the Spaniards moved north from the Mexico City area, they found that the diet of the area was simpler, with the basics of corn, beans and squash, but without the further variety as existed in the lusher south. For this reason, these Spaniards impacted on how the diet developed. They brought to Sonora European staples of wheat, beef, dairy products, pork and more, as well as dishes and ingredients from the center and south of Mexico, such as tortillas, more varieties of chile peppers and tamales. The cowboy/vaquero culture has been an important aspect of Sonora's culture since the colonial period and much of the cuisine is based on what cowboys ate on the range, even though most Sonorans no longer work outdoors. Sonoran cuisine is not limited to the present state. Arizona, especially in southern border area, has a cuisine which is also heavy on wheat, cheese and beef introduced by the Spaniards, back when the area was part of Sonora. Both states continue the cowboy tradition. Because Sonora is a border state, its cuisine has received significant influence from the United States as well. Sonora lies on the corridor which as connected the central Mexican highlands (Mexico City) north into the United States along the Pacific Coast at least since the colonial period, and there is evidence this corridor existed in the pre-Hispanic period as well. Today, it is still a major corridor for travel and shipping, with rail lines and Federal Highway 15 following it. The state contains a total of 24,396 km of highways. Rail lines mostly consist of those which lead into the United States. The major commercial port is in Guaymas, with smaller ones, mostly for tourism located in San Carlos, Puerto Peñasco and Bahia Kino. The state has four airports in the cities of Hermosillo, Puerto Peñasco, Ciudad Obregón and Nogales. These airports connect the state with 112 other locations both in Mexico and abroad. Airlines that operate out of them include Aeromexico, Volaris, Interjet, Vivaaerobus, US Airways and Aero Calafia.